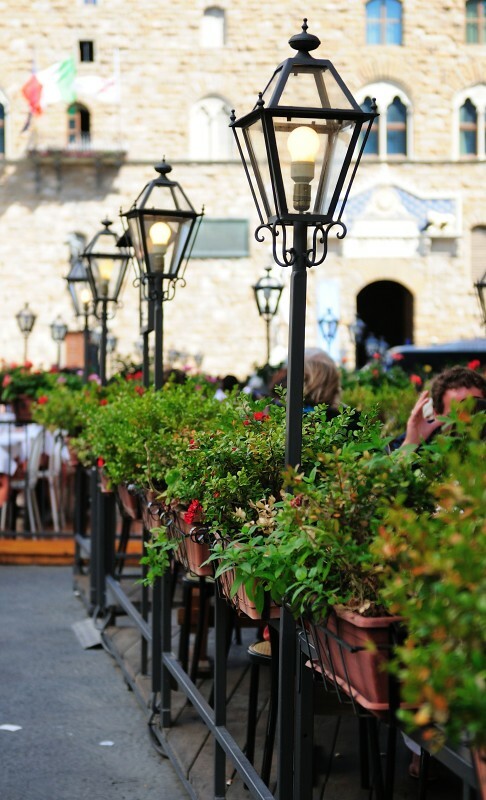 Another "back to summer" photo, one of my remaining photos from Florence, Italy - the edge of an outdoor eatery. Very nice. I like the patterns in there. Nice line... makes me wonder what's on the other side!